Gopher Supplies has a strong commitment to serving the community. We have decided that one of the ways in which we can serve the community is to support good causes, particularly the work of charities. There are many charities that operate in the UK (at the last count over 170,000), let alone worldwide, and they all contribute in one way or another to our community through their work. Sadly we cannot support them all. They should concern themselves with an area of life which might be considered either a little unusual or out of the mainstream. A profile of each of these charities and our reasons for supporting them is given at the foot of the page. We decided that 1% of every purchase (before VAT) should be donated directly to these charities. This means that when you buy from Gopher 1p in every £ you spend with us directly benefits a good cause! In order to start the ball rolling, at launch of Gopher Supplies we made a direct contribution ourselves to each charity. Please be assured that we are not asking you directly to make a donation; all monies donated are taken out of the amounts that you spend with us. We are sure however that if you wish to directly contribute to these charities, they would be very grateful! Although we have picked our four favoured charities, we will give you the final say as to where you would like the donations from your purchases to go. You can even select a preferred charity in your My Account settings. If you do not make a choice, a ‘default’ option will apply. Each month one of the four charities will occupy this position, with a different charity featuring every month on strict rotation basis. The following charities are listed in alphabetical order and the ordering does not imply any preference. We would like to acknowledge the good work of our chosen charities and their permission to represent them on Gopher Supplies. AFTAID is relatively small and one of the very few charitable organisations who offer direct financial assistance in the form of grants to elderly people living at a poverty or subsistence level. The grants are most often given to meet emergency situations and cover a wide range of 'quality of life' issues which are otherwise not addressed. The charity is staffed completely by volunteers. AFTAID appealed to us because it helps elderly people, who have often contributed great amounts to the community during their lives, but find themselves in their later years unable to enjoy some of the basic amenities in life, that most of us take for granted. Butterflies is a small charity offering support for breast reconstruction patients. It was formed in July 2004 and its purpose is to provide advice, information and comfort for women facing breast reconstruction. Butterflies has access to both medical professionals who are available to talk to individuals and also former patients who have been through surgery and are happy to share their experiences and advice with the group. 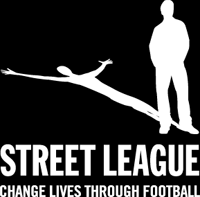 Street League uses the power of football to help the most disadvantaged young people into work, education or training. At present there is over 1 million 16-25 year olds who are not in employment, education or training. This represents a large loss of potential to our community. Some three-quarters of the young people who engage in Street League activities make a positive change in their lives by getting a job or going back into education. As keen sports fans at Gopher, we decided a winning combination would be something that linked sport with help for the community. What better than to help young people through a sport that is close to the Gopher’s heart! For more information about Street League, visit their website: www.streetleague.co.uk. Tiggywinkles is a specialist hospital, dedicated to rescuing and rehabilitating all species of British wildlife using all available veterinary expertise. Tiggywinkles treats over 10,000 wildlife animal casualties every year and is reputedly the world's busiest wildlife hospital, predominantly caring for sick and injured hedgehogs, badgers, wild birds, foxes, even reptiles and amphibians. We at Gopher Supplies are keen supporters of the environment – but you’d expect nothing else from a Gopher! Britain has an immense range of wildlife that we enjoy, yet we all know that despite our best efforts some of the direct casualties of business activity are the very wildlife that we seek to protect. This is our way of helping – just a little - to redress the balance.